STITT DIBDEN W.G. 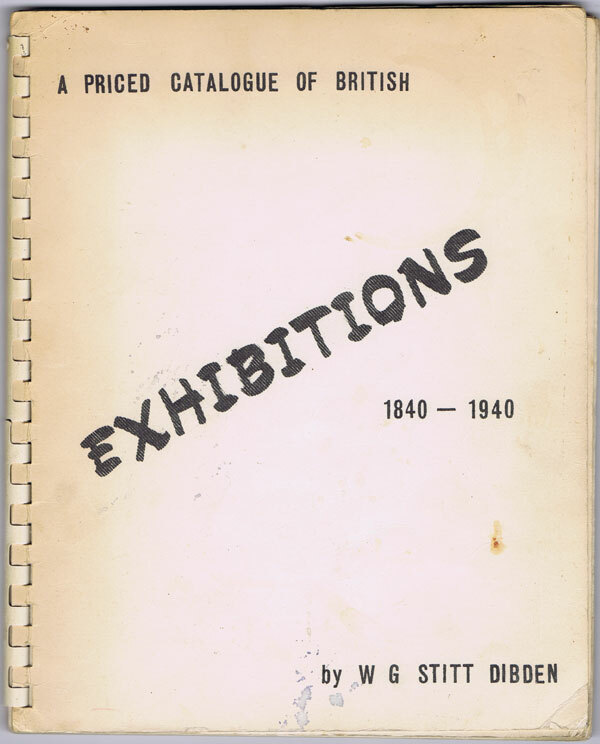 A priced catalogue of British Exhibitions 1840-1940. 52pp + plates. 1st ed., clean in spiral ring binding. STITT DIBDEN W.G. Wembley and Olympic issues. 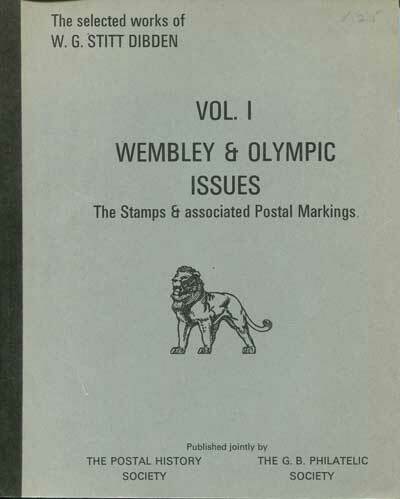 - The Stamps and associated postal markings. Vol. 1 of the selected works of W.G. Stitt Dibden. 65pp + plates. 1st ed., fine in card covers. 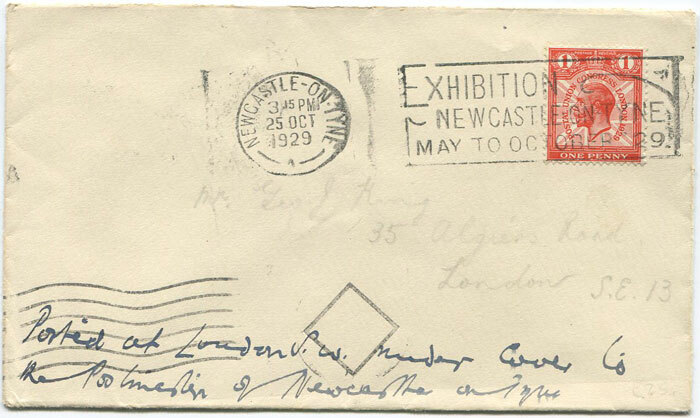 1929 EXHIBITION NEWCASTLE ON TYNE MAY TO OCTOBER 1929 slogan machine cancel on cover to London. 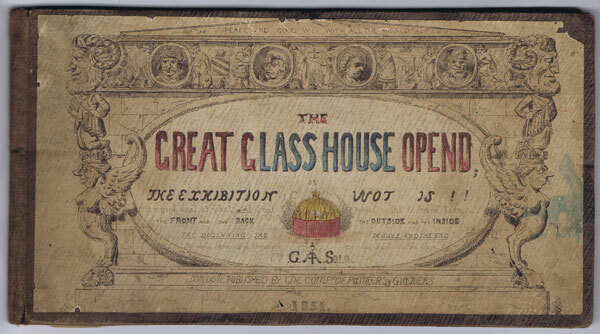 SALA, George Augustus The Great Glass House Opend; The Exhibition Wot Is! London, Published by the Compy of Painters & Glaziers 1851 Panorama. Oblong octavo (9.75 x 5.5"). Accordion format, unfolding to 184". Twenty of 24 engraved hand-coloured panels (lacking last 4), the first of which has been mounted to the upper board. Two panels affected by small rubs with slight loss of image. Original worn brown cloth. 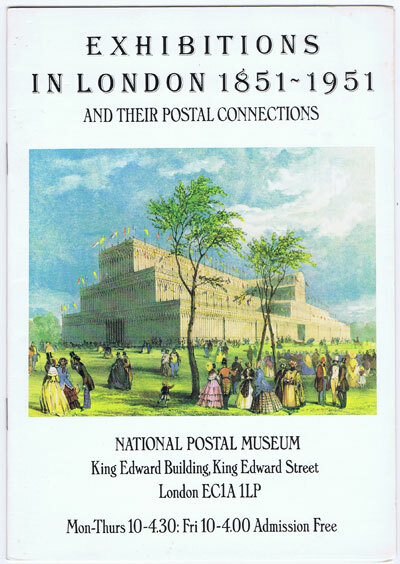 Rare comical work on the Great Exhibition.